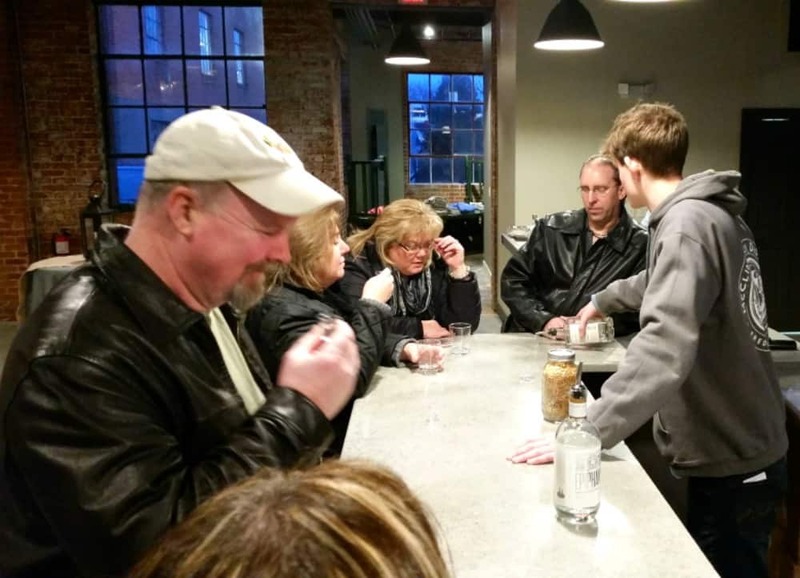 The distillery industry is making it’s mark on Frederick’s craft beverage scene in a BIG way. And, if you’re familiar with Frederick, Maryland, you already know that craft breweries and cideries have become THE thing these days. As a result, Frederick is becoming quite the eclectic town. And we love it! BUT, move over and make some room Frederick! A new craft beverage has come to town: Distilled Spirits! 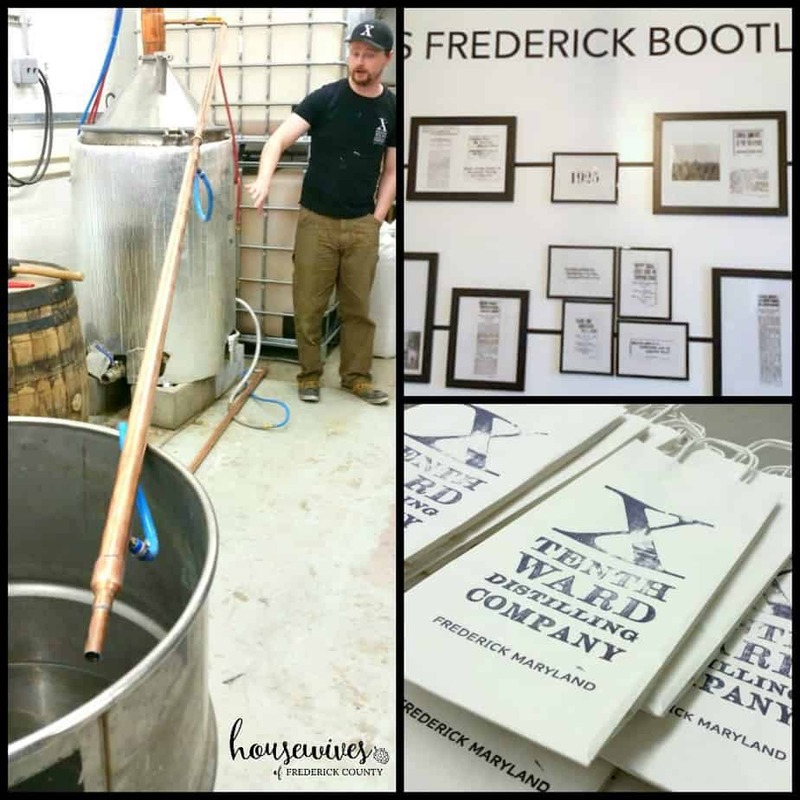 You might remember that our friend Jen from Love and Wine Blog wrote a guest post for us about Frederick’s very first distillery: “Dragon Distillery: A Frederick First”. As a result, we decided to make a recipe out of Dragon Distillery’s Clustered Spires Vodka, the Dragon Kiss Cocktail. 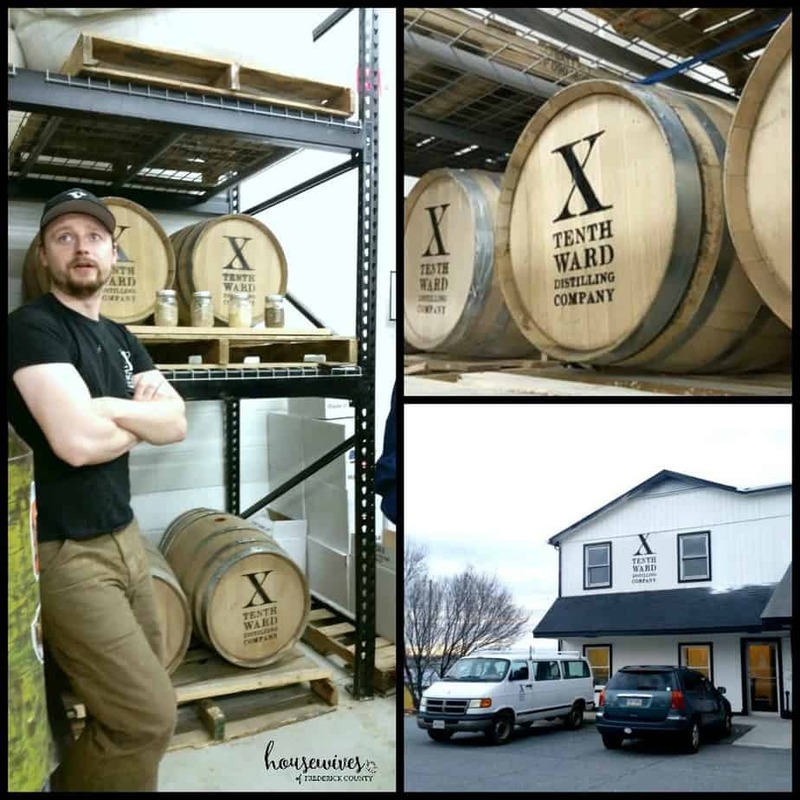 Less than one year later, two additional distilleries have opened their doors. 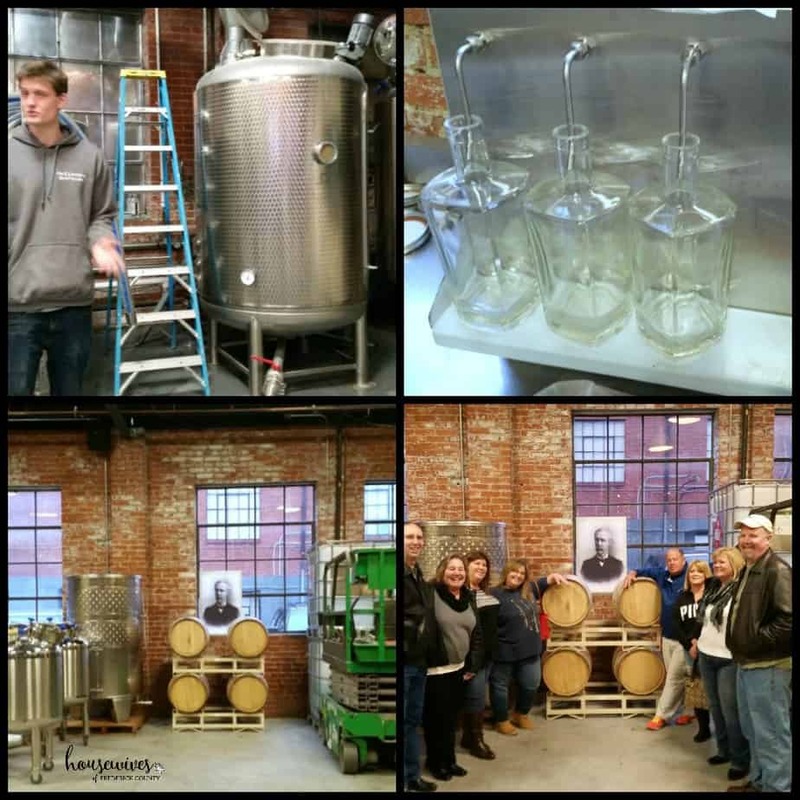 Tenth Ward Distilling Company and McClintock Distilling. Yet, each distillery has it’s very own distinct character and bragging rights. 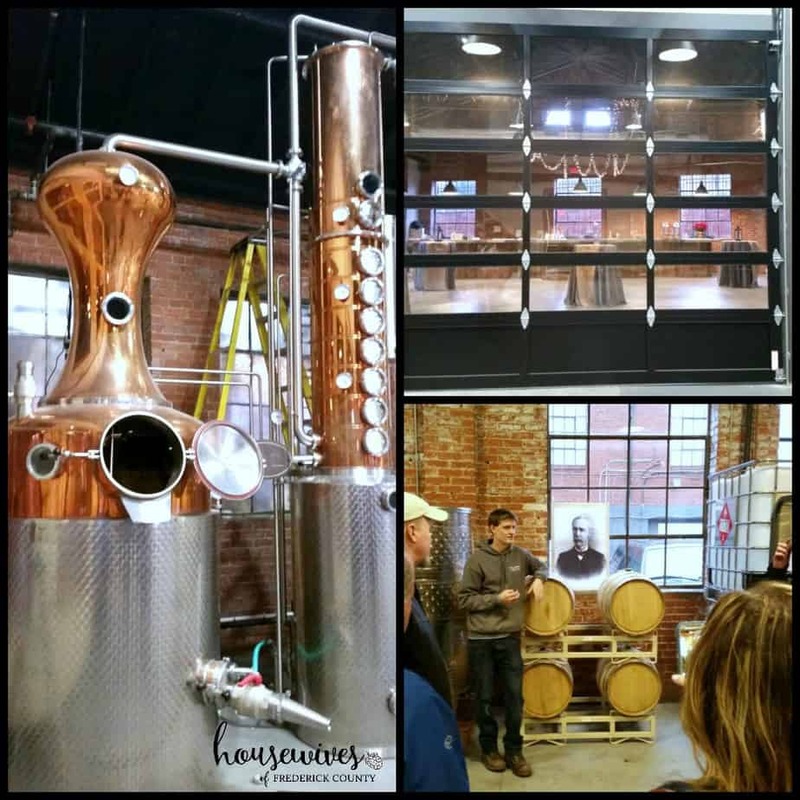 All 3 of Frederick’s distilleries are open for tours and tasting. Just check out their individual websites for their days and hours of operation. 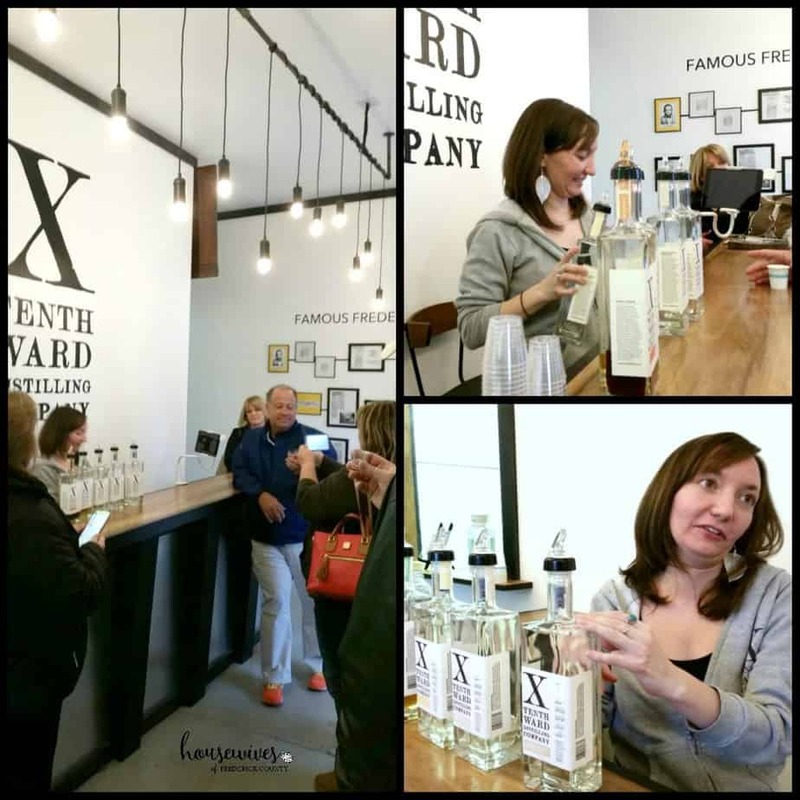 Tenth Ward and McClintock recently invited us to bring our friends for a tour and tastings. So, how could we say no? Our first stop was Tenth Ward. 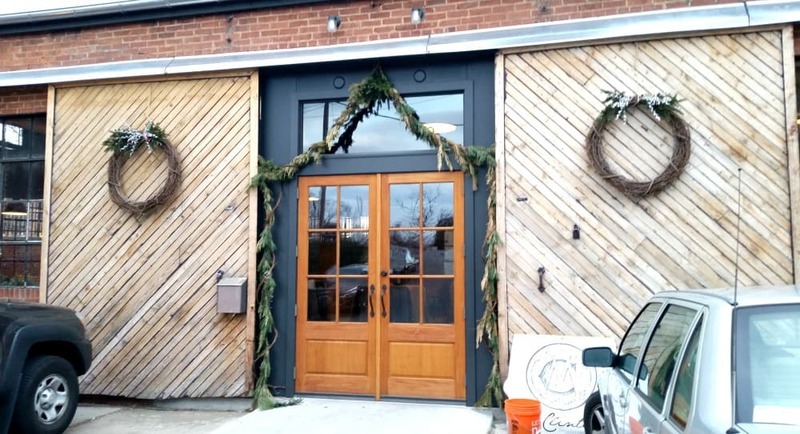 Tenth Ward’s owners, Monica Pearce and Kyle Pfalzer, graciously welcomed us at the door. Monica and Kyle chose the name “Tenth Ward” to reference the way Frederick City was divisioned during the late 19th century. The distillery’s location at 508 East Church Street was part of what used to be considered the Tenth Ward. A large map on one of the walls in the distillery, drafted at the Frederick Historic Society, depicts the boundaries of Frederick’s Tenth Ward in 1873. 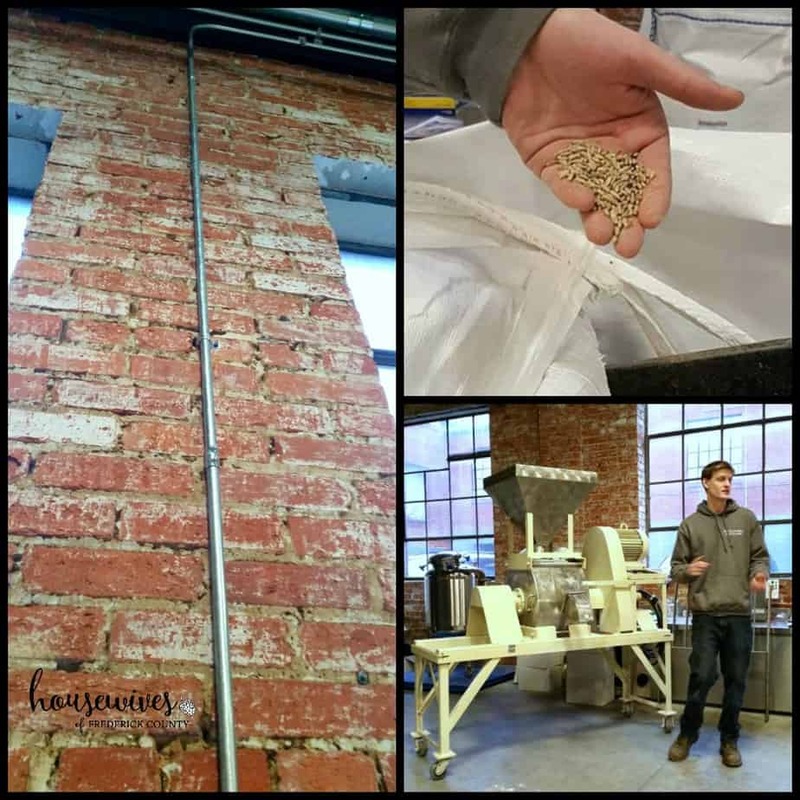 Kyle took us through Tenth Ward’s distilling process, showing us the oak and bourbon barrels and all of the equipment behind the scenes that create the magic behind their spirits. It’s so fascinating to be able to peek “behind the curtain” and to see their process of making their booze. Therefore, it’s not a surprise that the sources for their grain, honey, mead and cider are all located within 45 minutes from the distillery. Many of the spirits’ names have been named after famous Frederick bootleggers from way back in the day, like their Claude Countee Corn Whiskey and their Lindsay Stunkle White Rye. Interestingly, Tenth Ward has a wall showing information on the history of these famed bootleggers. 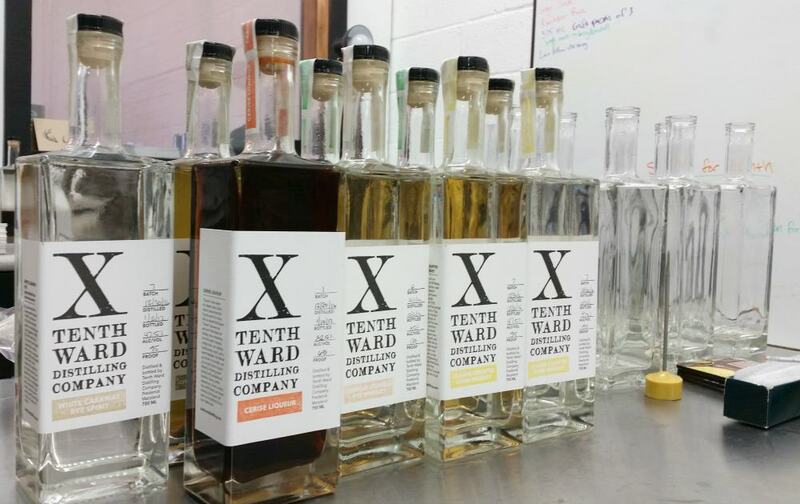 In addition, Tenth Ward offers a White Caraway Rye Spirit, an Applejack Brandy, a Citrine Liqueur, and a Cerise Liqueur. Because some of Tenth Ward’s spirits are limited, seasonal batches, get them while the gettin is good! 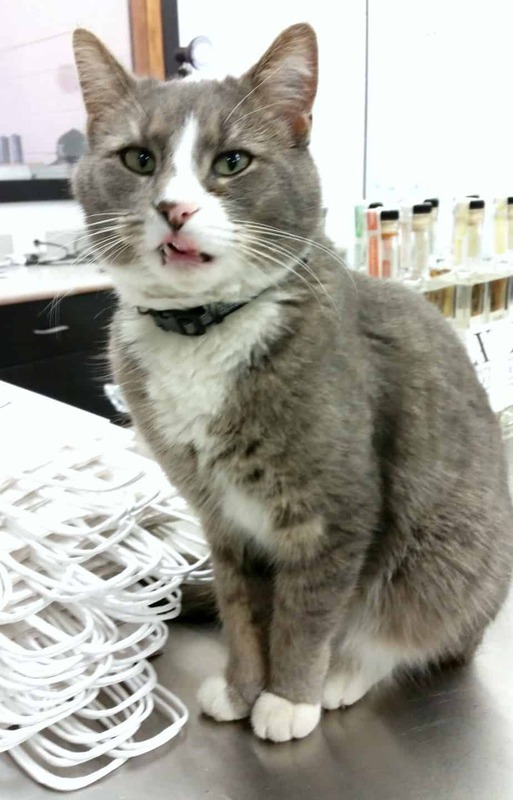 We had the pleasure of meeting Tenth Ward’s distillery cat, Verbal. He hangs out in the distillery and helps Monica bag bottles. And as Monica explained to me, distillery cats have their very own social media following. After Kyle explained the entire distilling process, we were able to go back to the front room bar area to sample a few of Tenth Ward’s offerings. Monica explained how each spirit was made, listing their ingredients and alcohol volume. They all had their own distinct taste. SO much smoother than the run-of-the-mill bottle of liquor you’ll find at the liquor store! We had so much fun at Tenth Ward! 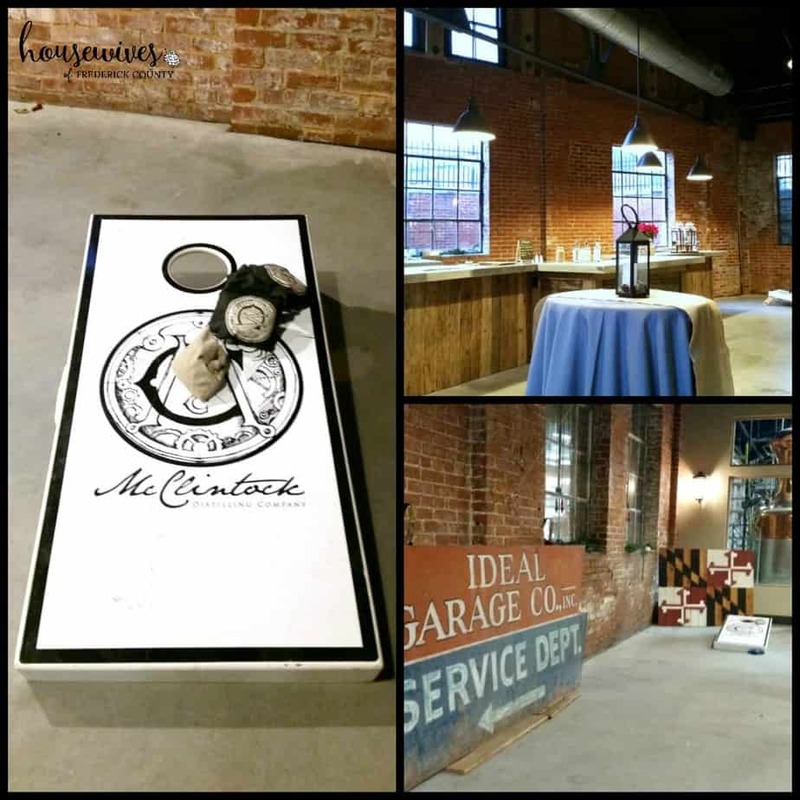 Our next stop was McClintock Distilling, located right in the heart of Downtown Frederick, along Carroll Creek at 35 South Carroll Street. Located in a 105 year old former garage, the owners painstakingly transformed it into a state of the art distillery and tasting room. They “fully modernized and transformed the space while highlighting and preserving the classic and historic aesthetic of the building”. We were met by the distillery’s owners Braeden Bumpers and Tyler Hegamyer. These guys are young, ambitious, and totally devoted to their craft. They named the distillery McClintock after the renowned 1800’s inventor, McClintock Young, who lived in Frederick. Braeden took us into the distilling room, explaining their process step-by-step. Their equipment is seriously impressive! With a 264 gallon handmade copper pot still, fermenters, a mash tun, a gin basket, and a stone buhr flower mill used to grind their grains, they have the perfect setup to make their amazing spirits. After our tour, it was time for our tastings! 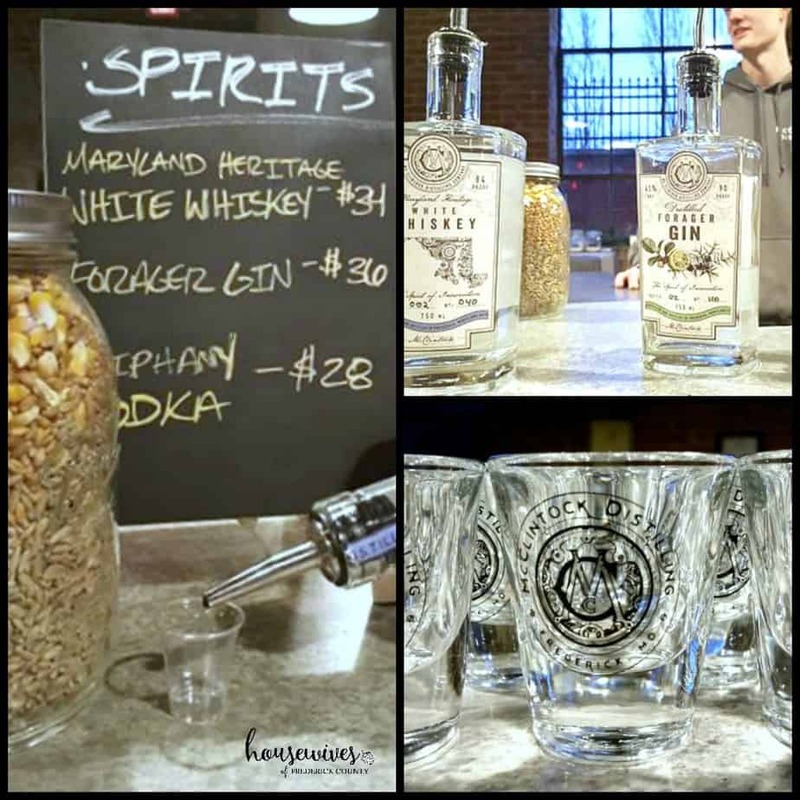 Currently McClintock has three bottled spirits available: Maryland-Heritage White Whiskey, Epiphany Vodka, and Forager Gin. We tasted all of them. They were all good, but I ultimately chose to purchase the Forager Gin. I could ALMOST drink it straight if I was a straight liquor drinkin’ kinda girl! Stay tuned for a drink recipe using their gin coming soon! In addition to tours and tastings, McClintock offers up their gorgeous, historical space for special events. They’ve already hosted a few weddings and parties in the short time they’ve been open. We had a great time at McClintock and will absolutely be back! The owners of all three of Frederick’s distilleries are friends in real life. 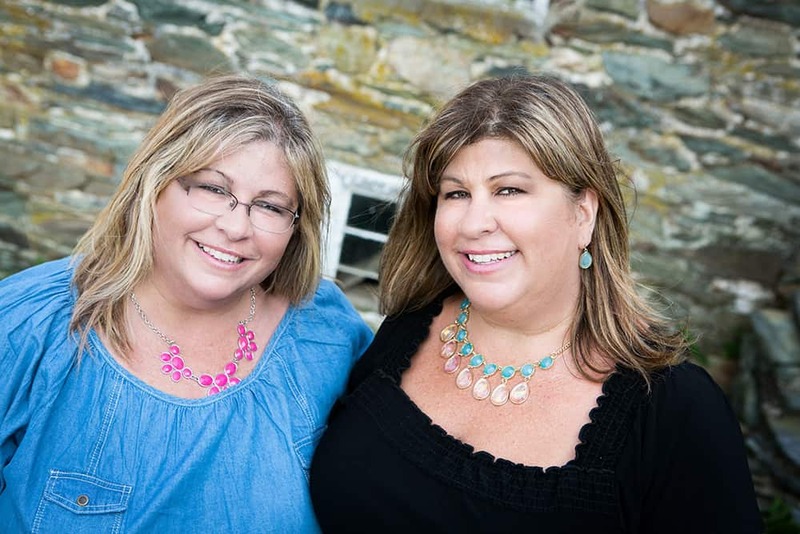 Together, they have created the Frederick Area Distillery Association. They’re working on putting together a Frederick Distillery Trail sometime soon! Follow Tenth Ward and McClintock on Facebook to stay up-to-date on their upcoming events latest news. What’s your favorite cocktail using distilled spirits? Next time you’re in the cocktail shakin’ mood, support local business and buy your next bottle from one of these amazing distilleries right here in Frederick, Maryland. Enter our giveaway now for 2 free tickets ($110 value) to the Frederick Craft Spirits Festival taking place Saturday, April 22, 2017 from 12pm to 6pm.